In all cells described so far, the source of the energy which makes a cell active has been within the cell. 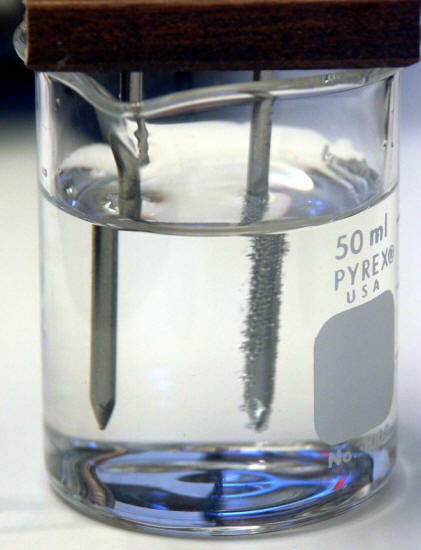 The source has been the solution potential of the anode (the amount by which it is greater than that of the cathode), some distribution of energy in the metal, or a concentration gradient in the electrolyte. It is possible to have a cell in which the energy is supplied in the form of electrical current from an outside source. An electroplating cell is one example. In this case, energy comes from a generator supplying direct current. A car battery which is being charged is another example. The power in this instance comes from the car's generator that actually forces current through the cell in a direction opposite to the driving voltage of the cell itself (the battery is really a set of three or six cells). Impressed current cells in which the soil is the electrolyte are of two kinds: accidental and deliberate. The deliberately impressed current system is the one which supplies cathodic protection to increase the life of a structure by reducing the corrosion current. Accidental systems, however, may exist under a variety of circumstances. Any direct current flowing in the soil from any source whatsoever can, if it finds a pipeline or other metal object in its path, collect on the pipe in one area and discharge from it in another. The area where it collects becomes a cathode while the area where it discharges is an anode, and thus corrosion occurs. The source of energy for such cells may be a distant generator, a direct current transmission line, a cathodic protection rectifier on some other line, a street car system, or an electric railway. 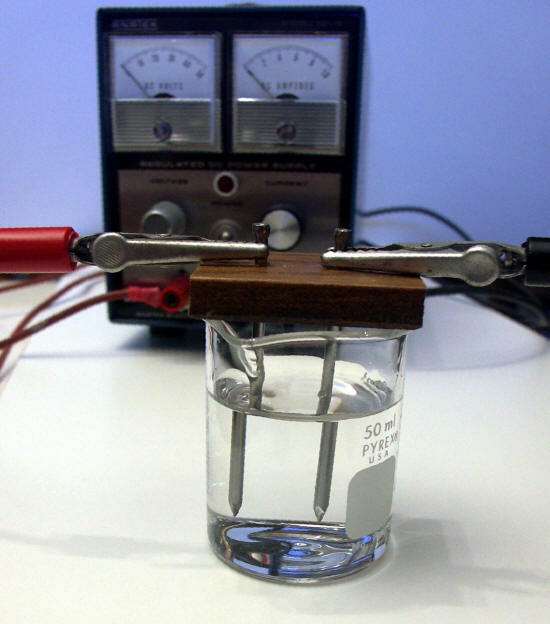 The corrosion effects of stray current can be easily demonstrated with a simple laboratory set-up such as shown in part a) of the following Figure. 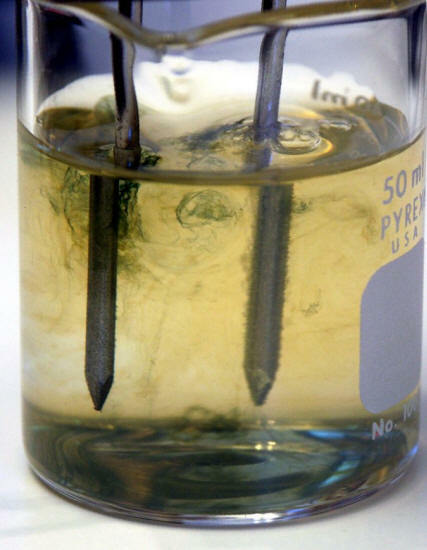 After only a few minutes of passing a small DC current in the cell containing a dilute saline solution, the formation of hydrogen bubbles is readily visible on the steel nail connected to the negative post of the DC power supply (b) while the nail connected to the positive post shows signs of rapid corrosion a few minutes later (c). Experiments to illustrate the effects of stray current showing a) the experimental set-up containing a DC power supply plus two steel nails partially immersed in a dilute saline solution and connected to the positive (left) and negative (right) posts of the DC supply; the effects of imposing a DC current the nails b) after five and c) ten minutes.